Lynnderella Season's Glitterings is a holiday polish of EPIC proportions. There's a ton of holo glitter of basically all shapes and sizes, as well as red, green, gold, purple, pink and silver glitter. I got some really cool glitter pieces in this mani, like a big gold star, silver holo diamonds, a silver holo heart, a holo rectangle (! ), and mini silver stars. I am so in love with this polish, I may wear it again before Christmas over red or maybe gold! 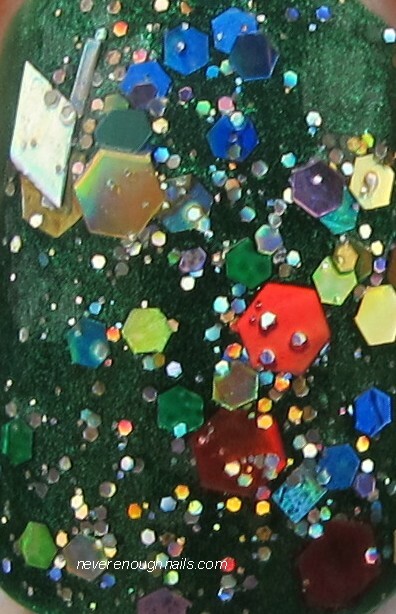 Aside from all of the cool big shapes in this polish, the small holographic glitter in the base makes this polish really festive. 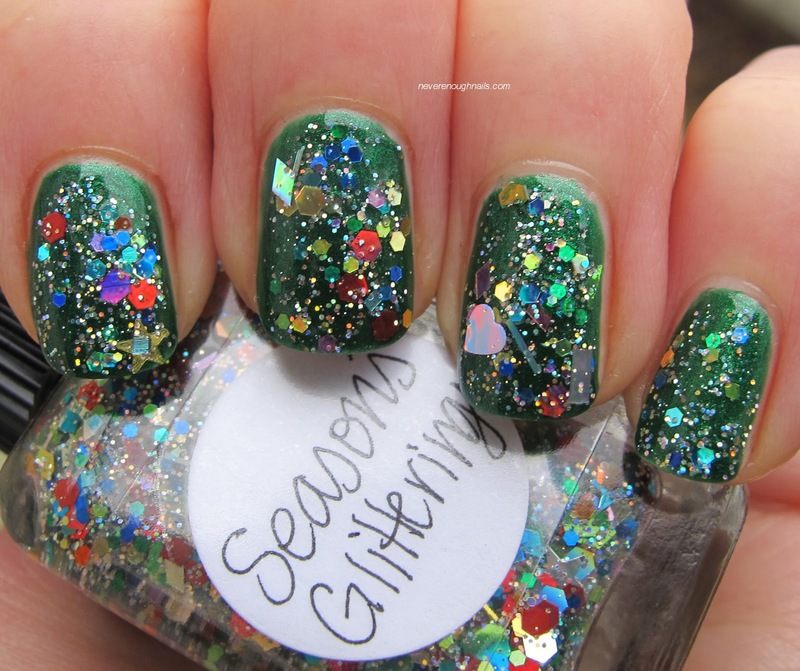 I wanted to make it extra Christmas-y, so I layered it over Zoya Holly, my favorite Christmas green polish. This is two coats of Season's Glitterings and it covered really well. It was super easy to get all of the different shapes onto the nail, I didn't even do any dabbing or placing the glitters. 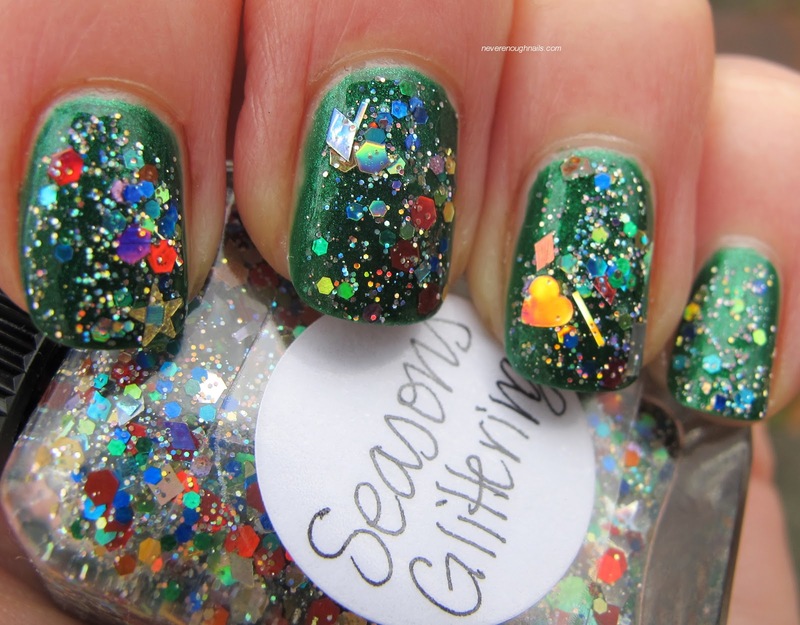 For such a glitter bomb, this really had an excellent formula. 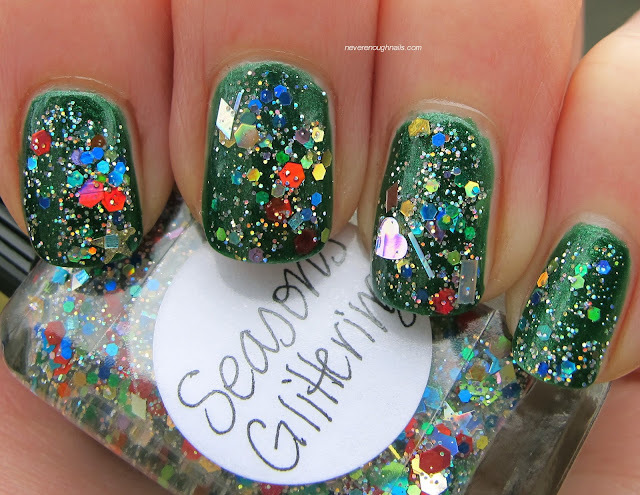 The Lynnderella Season's Glitterings collection is available now on her eBay store! This looks like a Christmas tree on a nail! Haha, that's what I thought TikiBarbie!